Kirigami UI, KDE's user interface framework for mobile and convergent applications, which was first announced in March, is now publicly released! Kirigami UI allows Qt developers to easily create applications that run on most major mobile and desktop platforms without modification (though adapted user interfaces for different form-factors are supported and recommended for optimal user experience). It extends the touch-friendly Qt Quick Controls with larger application building blocks, following the design philosophy laid out in the Kirigami Human Interface Guidelines. Kirigami UI currently officially supports Android, Desktop GNU/Linux, Windows and the upcoming Plasma Mobile. iOS support is currently in an experimental stage, support for Ubuntu Touch is being worked on. Read the full article for details. Today we are delighted to announce that KDE e.V. is joining the advisory board of The Document Foundation, the foundation backing LibreOffice and the Document Liberation Project. The Document Foundation also joins KDE e.V. 's group of advising community partners as an affiliate. As already hinted at in the article about KDE's Vision, the next step in setting our path into the future is defining KDE's Mission statement. Right after our Vision was published, a group of people started drafting a Mission statement and discussing it on the kde-community mailing list. While we agreed on most aspects of the Mission, it became obvious that on some key issues, we just had quite different individual opinions. Even if an individual opinion prevailed in our discussion, we would not know whether that opinion was shared by the majority of the KDE community. This is a problem, because especially in a volunteer-driven community where a Mission cannot be enforced from the top down, it can only have a practical effect if the majority of those doing the work agree with it. However it became obvious that not that many KDE contributors both had the time and were comfortable with contributing to the discussion on the mailing list. Therefore, in order to still be able to find out what the majority of the community considers the right approach towards our Vision, we set up an online survey, hoping that this would make it easier for people to voice their opinion in an easy, anonymous way. Since we always focus on our users, we are also interested in the opinion of interested users, so we opened up the survey for everyone. It should not take more than 5-10 minutes and providing your input on what KDE should do will help us move towards our Vision! 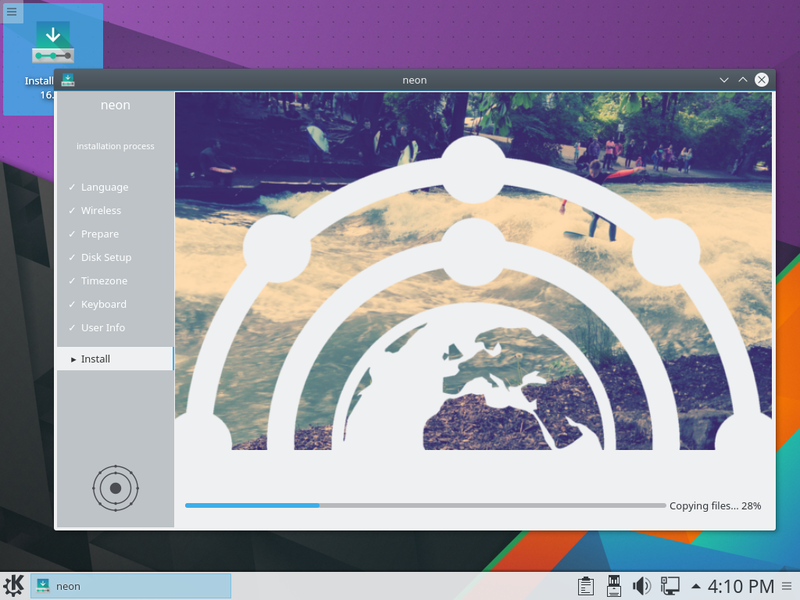 KDE is thrilled to announce the first at-large version of KDE neon User Edition. KDE neon User Edition 5.6 is based on the latest version of Plasma 5.6 and intends to showcase the latest KDE technology on a stable foundation. It is a continuously updated installable image that can be used not just for exploration and testing but as the main operating system for people enthusiastic about the latest desktop software. 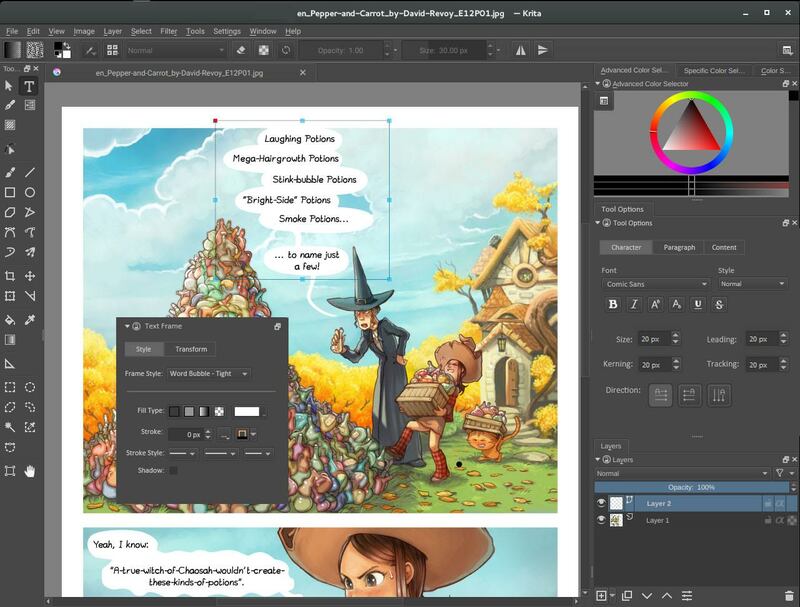 Today we kick off the third Krita kickstarter! It's beginning to become a tradition. Last year, our Kickstarter backers funded the development of performance improvements and animation support -- and a bunch of other features. Right now, we're still working on finishing up the Krita 3.0 release before we implement the last of the stretch goals you all helped fund last year. The KDE e.V. report for the first half of 2015 is now available. It presents a survey of all the activities and events carried out, supported, and funded by KDE e.V. in that period, as well as the reporting of major events, conferences and mentoring programs that KDE has been involved in.